Flocculator creates mixing turbulence from wastewater flow to simply provide low shear contact between a pumped-in liquid coagulant and/or flocculent with in-coming wastewater.Efficient and low shear mixing means that chemical coagulant and/or flocculent dose can be minimized, while producing agglomerated solids for separationdownstream by gas flotation, filtration, gravity settling, or centrifugation. Minimal chemical dosing saves costs for the chemicals themselves and lowers the amount of solid waste for disposal. Flocculator has no external mixers and no moving parts, so maintenance requirements are nil. 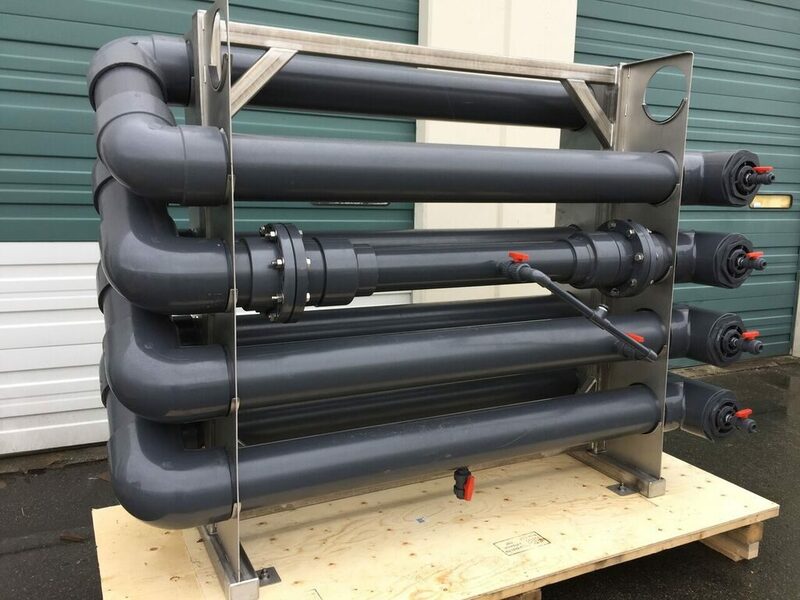 The only operating cost is incremental pumping energy needed to overcome a small increase in pressure drop caused by Flocculator’s convoluted mixing flow path.